Long Weekend is when this exhibition will be held. The City of Mandurah’s Budget 2013/2014 was passed last night. The Southern Estuary Road, Herron, linemarking and change of speed to 80kph will now be added. This has been ongoing for a number of years. Thanks to all past and present members of the Lake Clifton Herron Progress and Sporting Association Inc. Your Progress Association working for you. Annual General Meeting will be held on Sunday 20th October 2013 at 2pm. Please come along and make your voice heard. Jeeriji is a Cycad, an ancient plant related to conifers and here are some great photos. As many of you reading this will be well aware, August is right in the middle of reporting season. It’s no different for us at the SBDC, with our team busily working on the upcoming annual report. 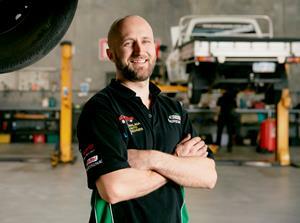 Our results show that during 2012-13 we’ve dealt with more than 16,000 enquiries from small business clients. Recent independent research has also shown that 90 per cent of the people we’ve worked with were satisfied with their experience and would use our service again. It’s always been our aim to put the needs of small business first and it’s great to see people taking advantage of our services and benefiting from the information they receive. We’ve also been working hard to make our small business workshops available to as many people as possible. We’ve started to roll-out some of these workshops to our State-wide network of independent Small Business Centres, so more people will be able to access them in their local area. I hope you find this edition of the SBDC e-newsletter interesting and that you will take the opportunity to pass the information onto your members and associates. 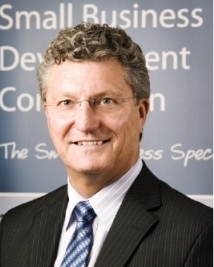 At the start of this month, Jandakot MLA Joe Francis was appointed the new State Minister for Small Business, replacing Liza Harvey. The new Minister was sworn in by Governor Malcolm McCusker on Monday 5th August. A former submarine officer, Minister Francis adds Small Business to his existing portfolios of Corrective Services, Emergency Services and Veterans. As a former franchisee, Minister Francis has personal experience with the ups and downs of running a small business. In his opening address to Parliament, he described his belief in a ‘fair go’, unlimited business opportunities and cutting red tape. The new Minister has also been described by Premier Colin Barnett as, “An enthusiastic and passionate advocate for the small businesses that form the backbone of the local economy”. We congratulate former Minister Liza Harvey on her appointment as Minister for Tourism. The Australian Competition and Consumer Commission (ACCC) has recently alerted small businesses that the fake ‘Yellow Pages’ business directory scam has resurfaced in Australia. The ACCC has received an influx of reports from small businesses who have received a fax claiming to be from ‘Yellow Page Australia’ or ‘Open Business Directory Ltd’. The fax aims to con targets into signing up to an online business directory service charged at $99 per month for a minimum two-year period. If you receive a ‘Yellow Pages’ fax or email, bin it. Sensis will never approach you this way. If you get a threatening phone call, email or fax demanding payment – ignore it and report it to the ACCC’s SCAMwatch service. Spread the word. Ensure your employees are aware of this scam and know how to protect your business. For more information, visit SCAMwatch. The SBDC, alongside project partners the Department of Aboriginal Affairs, the Department of Training and Workforce Development and the Chamber of Commerce and Industry WA’s ProjectConnect, last month held an event to celebrate the continued success of the Aboriginal Business Directory WA and acknowledge its 11 inaugural sponsors. This directory, which we have been supporting for over four years, provides Aboriginal businesses in Western Australia with an opportunity to promote their products and services to potential buyers from government and private organisations. There are currently more than 150 Aboriginal businesses listed on the online directory. 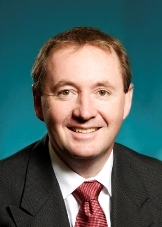 Pictured: Minister for Aboriginal Affairs Hon. 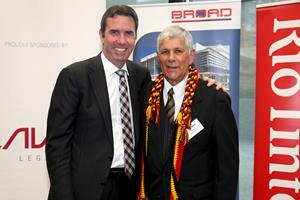 Peter Collier with Western Australian Aboriginal Advisory Council member Robert Isaacs OAM CM JP. Now in its 11th year, our WA Regional Small Business Awards (WARSBAs) continue to recognise and acknowledge the best of Western Australia’s regional small businesses. A gala event will be held at the Hyatt Regency hotel in Perth on 15 November to celebrate the success of award-winning regional small business in a number of categories. To be eligible to enter the awards, businesses need to have won a corresponding award through a regional Chamber of Commerce or Small Business Centre awards program during 2013. Details of eligible award programs are listed on our website. To apply for the 2013 WARSBAs and have an opportunity for your business to be promoted around the State, please contact your local Chamber of Commerce or Small Business Centre. Applications close on Friday, 11 October 2013. For more information, please visit our website. The Commonwealth Government has released a new version of its popular e-resource kit for small businesses. The Small Business Resource Kit contains useful information and resources designed to help small business owners and start-ups get down to business. Composed of a variety of video files, audio recordings and traditional handbooks, the kit includes information on legal issues, independent contractors, and key contact information for small businesses. 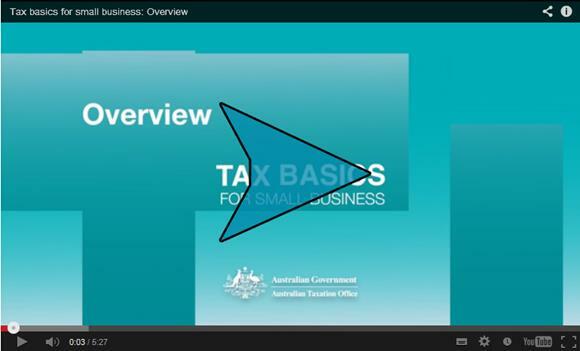 This video, from the Australian Tax Office, provides an overview of the tax and super obligations that may arise when starting and running a small business. We have a range of workshops to help you establish and grow your business. All workshops (except Business Basics which is free) cost $40 per person (including GST) and are hosted at our Perth CBD office. Plus, if you book for two people at the same time to attend the same workshop you’ll receive a 50% discount on the second person. For full details and online bookings, visit our website. You are receiving this email because you have had previous contact with the Small Business Development Corporation. If you no longer wish to receive SBDC E-News, you can unsubscribe below. Don’t want to receive these newsletters any more? Please unsubscribe instantly. With the Federal Election fast approaching, you will be weighing up what the Coalition is delivering to make your life in Canning better. We have policies to address the three biggest concerns to Canning residents – crime, border protection and cost of living. Reducing cost of living pressures is one of the greatest issues the Coalition plans to address. Canning households will be an average of more than $550 better off next financial year alone as a result of abolishing the carbon tax – and we will keep the current income tax thresholds, pension and fortnightly benefit rates. The Coalition’s border protection policy involves reintroducing temporary protection visas, rigorous offshore processing and turning back the boats where safe to do so. We have made it clear that those who come without documentation and have thrown their documentation away, don’t get into the queue at all. We also have announced our Operation Sovereign Borders policy which brings together 15 different agencies to be directly involved in border security activities. Just this week, we announced our policy on tackling crime which includes the implementation of our Plan for Safer Streets – you can see how this plan benefits Mandurah and Armadale below. You can get a copy of the Coalition’s Plan on Real Solutions for All Australians by visiting http://www.liberal.org.au/real-solutions. This plan explains the direction, values and policy priorities of the next Coalition Government. This plan will deliver a strong and prosperous economy and a safe and secure Australia – and restore hope, reward and opportunities for all Australians. I have been pleased to announce a variety of projects to be funded under a Coalition Government in Canning recently. Below are details of the commitments in your local area – and I will have more commitments to proudly announce over the next two weeks of the campaign. In July, Tony Abbott, Donna Gordin the Liberal candidate for Brand and I announced that a Coalition Government will commit $10 million to the redevelopment of the Mandurah Aquatic and Recreation Centre. The Mandurah Aquatic and Recreation Centre is a vital piece of community infrastructure that services a vast area and a growing population. When completed, the redevelopment will provide local residents with a modern, multi-purpose recreational sporting and aquatic facility. This commitment will support the completion of Stage Two to deliver new multi-use courts, spectator seating, a new gymnasium, expansion of an existing creche, administration facilities and additional car parking. Mandurah will receive $250,000 in funding for crime prevention infrastructure and activities under the Coalition’s Plan for Safer Streets. If elected, the Coalition will provide funding to go towards CCTV cameras, lighting to improve night time passage and youth engagement projects based on the City of Mandurah’s ‘Family Friendly Foreshore Project’. Armadale will also receive $170,000 in funding for crime prevention infrastructure under the Coalition’s Plan for Safer Streets. A Coalition Government and I will provide funding to upgrade and extend the CCTV system in strategic locations in the Armadale CBD. The funding for Armadale and Mandurah is part of the total $50 million a Coalition Government will provide over four years across the nation under its Plan for Safer Streets. The Coalition will build the largest standing environmental workforce in Australia’s history and deliver local on-the-ground environmental projects in Canning and around Australia, including at the Len Howard Conservation Park in Erskine and for the Peel-Harvey Catchment. If the Coalition is elected it will build a 15,000 strong Green Army to provide real and practical solutions to local environmental issues. Not only will Green Army activities improve hundreds of sites across the country, but local young people will be able to join a Green Army team and get hands-on environmental training. Participants will receive a training allowance, as well as gain valuable work skills and potential qualifications in different areas of environmental remediation. The Len Howard Conservation Park has an important habitat for flora and fauna which is of great value to the local community. Work at the park would beautify the area through restoring walking paths and reducing fuel loads to lower fire risk. The Peel-Harvey Catchment would benefit with a Green Army project to help reduce nutrients entering the Ramsar listed Peel-Yalgorup System. The ‘Water Quality Improvement’ project in the Peel-Harvey Catchment area, led by the Peel-Harvey Catchment Council, is already underway, working to improve the local environment. A Green Army team will further enhance this project and benefit the local Shires of Murray, Waroona, Serpentine-Jarrahdale, Boddington and Mandurah. The Coalition and I will ensure the recognition of the Peel-Harvey Catchment as an independent Natural Resource Management (NRM) region. This would give the local Peel environment the necessary attention it rightly deserves and help protect the future health and sustainability of the Peel waterways. I truly understand how important protecting the local environment is to Mandurah and surrounding residents and have taken the necessary action to make sure that happens. I graciously thank the efforts of the Peel-Harvey Catchment Council and the City of Mandurah in making strong and consistent representation for the case to recognise Peel as a new NRM. The South-West Catchment Council and NRM Regional Leaders Group has also been involved in this process and have lent their support. The South-West Catchment Council has done a great job of managing NRM work in the Peel region, and this will simply allow the South-West and Peel NRM’s to better focus on individual catchment areas. A Coalition government will invest $15 million into Australia’s peak water safety agencies as part of its policy to reduce drownings across the nation. Under the Coalition’s policy, local surf clubs will receive average grants of $25,000 over five years to assist them purchase much needed equipment, first aid and medical supplies. 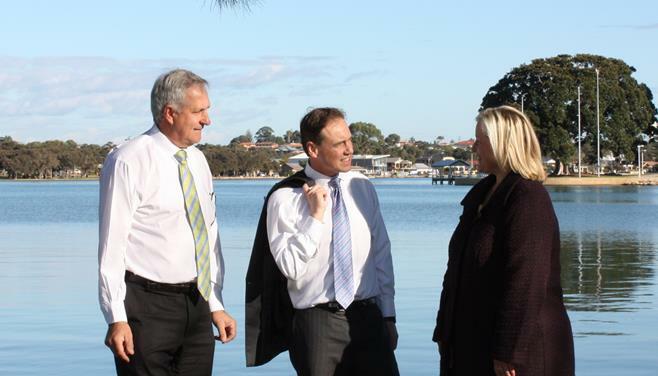 In the Canning electorate, the Coalition’s policy would benefit Mandurah and Port Bouvard Surf Livesaving Clubs. The Coalition will work with Surf Livesaving Clubs, the Royal Life Saving Society and AUSTSWIM to help reduce the number of drownings in the Canning electorate. 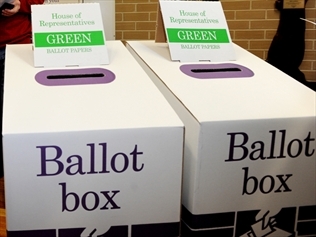 September 7 2013 is your chance to exercise your democratic right to vote. For opening times at these locations please call my office on 9390 1211, or contact the AEC directly on 13 23 26 or at http://www.aec.gov.au. I suggest you have a look at the following. Sounds interesting. If you are concerned about the loss of bushland and native species, or about the impact of development on the health of our rivers, lakes and Peel-Harvey estuary, you should engage with the Strategic Assessment process. Friday, 30th August, from 2 to 4pm in the Tuckey Room, City of Mandurah Civic Centre, 83 Mandurah Tce, Mandurah. This is your chance to learn more, ask questions and provide your early feedback to the WA and Australian governments. Once again Lake Clifton Herron Progress and Sporting Association is holding a Community Event with the support of the Shire of Waroona (Sea to Scarp Summer Events) and Alcoa. It will be called Lake Clifton Community Fair, and it will be held on 17th November 2013 from 10am – 4pm. If you are interested in displaying or selling Artwork contact Terry Rayner on 97391129 or email rayner@oceanbroadband.net.